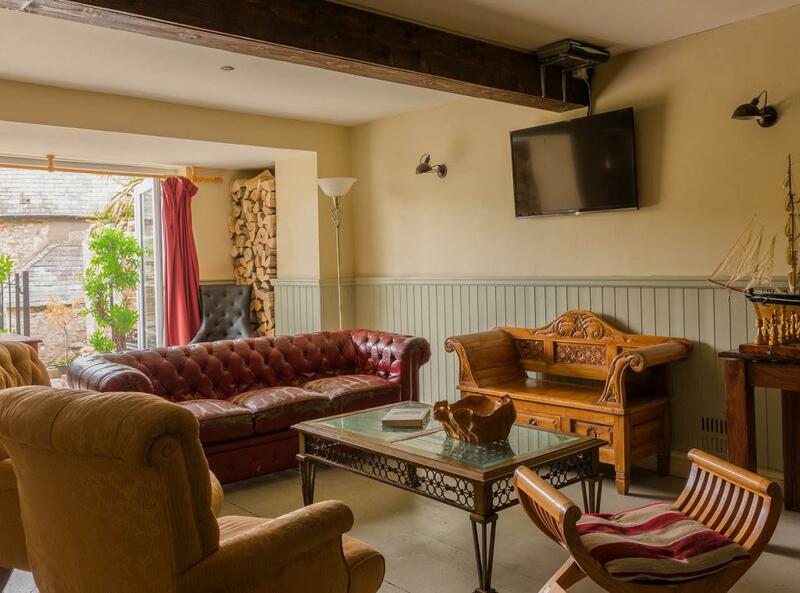 The Bar Room is a large luxury suite with superking size bed on a raised level so you can lie in bed and appreciate the wonderful view of the hills in front. The sitting room consists of sofa, HD flatscreen TV, coffee table and tea/coffee making facilities. 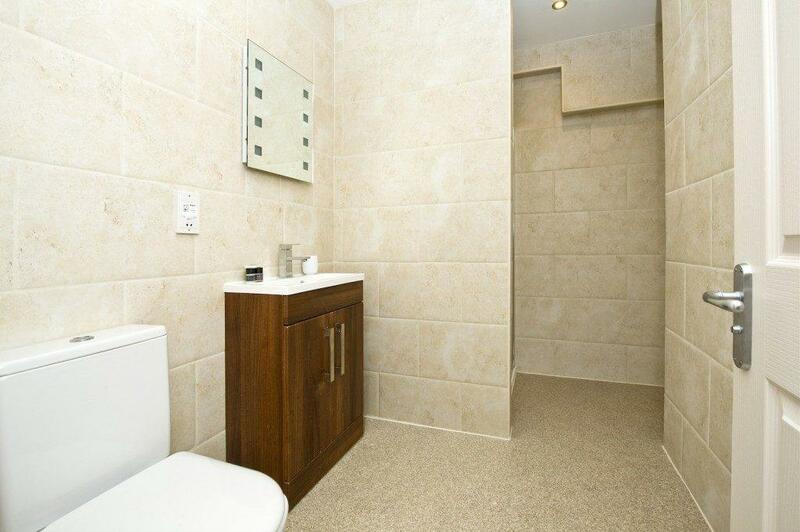 The en-suite bathroom has a bath/shower over with a heated towel rail. Included in your stay is breakfast, use of the cliff-top swimming pool (guests only) and the Bar/Library, Our restaurant is open all day in peak season, serving freshly made, seasonal dishes and Thai classics, using produce from local Dorset partners. Let us know when you book if you would like to reserve a table during your stay (advised!). 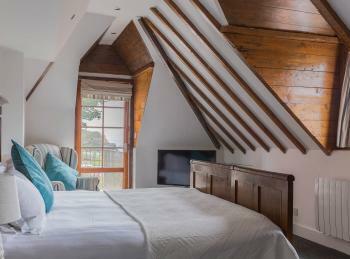 Please be aware that we do not accept bookings for children aged under 7.
he Study is the largest of our luxury suites. 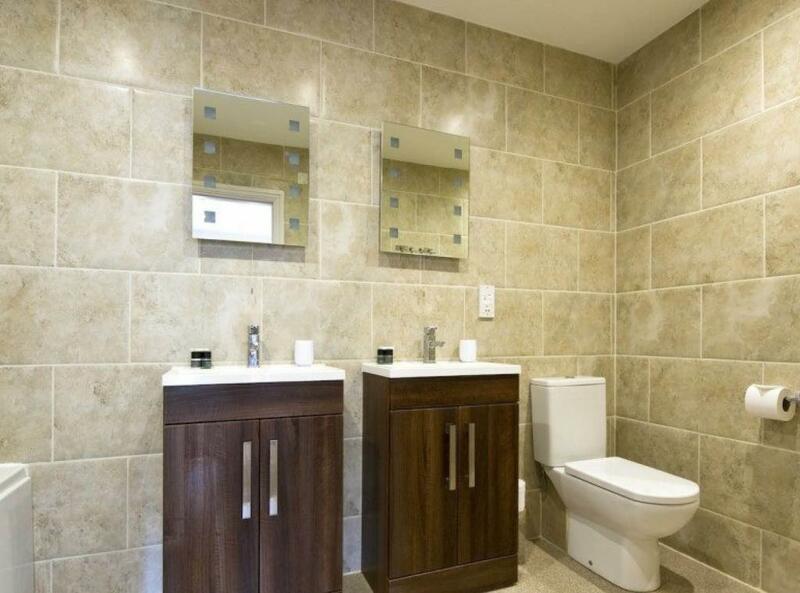 Guests can enjoy two rooms and a large en-suite bath and walk in shower with double vanity sink units. 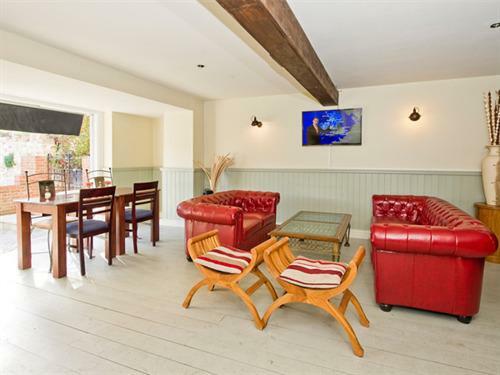 The living room area has a table & chairs in a bay window with HD flat screen TV, sofa and coffee table. The adjoining luxury bedroom is light and airy with a superking size bed, second HDTV, full length mirror and a large bay window which provides beautiful countryside & courtyard views. Features include two HD flat screen TV's, free wifi, tea & coffee making facilities, towels, iron/ironing-board and hairdryer are available on request. This is a non-smoking room. Included in your stay is breakfast, use of the cliff-top swimming pool (guests only) and the Bar/Library, Our restaurant is open all day in peak season, serving freshly made, seasonal dishes and Thai classics, using produce from local Dorset partners. 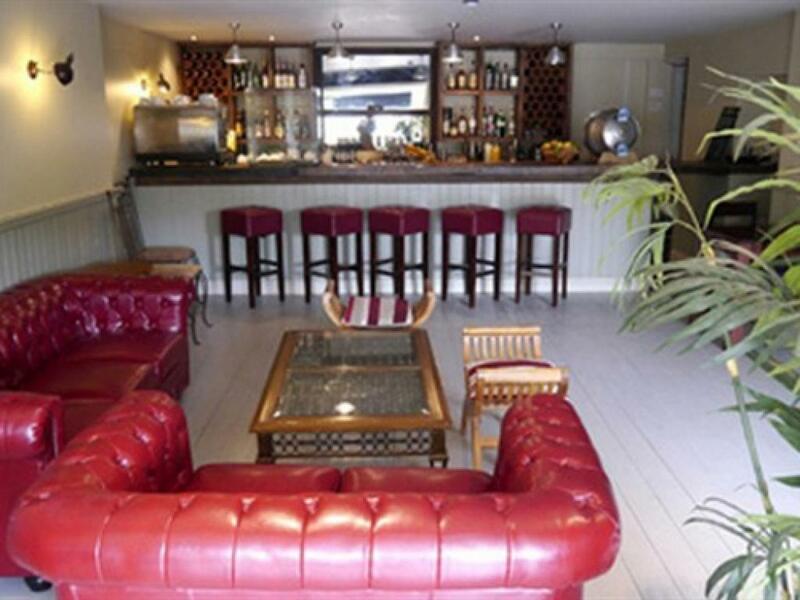 Let us know when you book if you would like to reserve a table during your stay (advised!). Please be aware that there is a minimum of 2 night stay over a weekend, 3 nights over bank holidays). We do not accept bookings for children aged under 7 years. 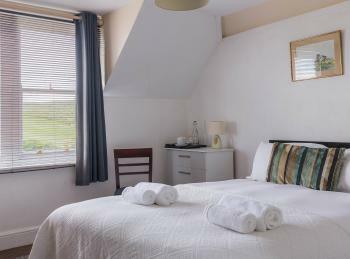 The Cove room is located on the first floor and offers super views of the sea, courtyard and the hills of West Lulworth. 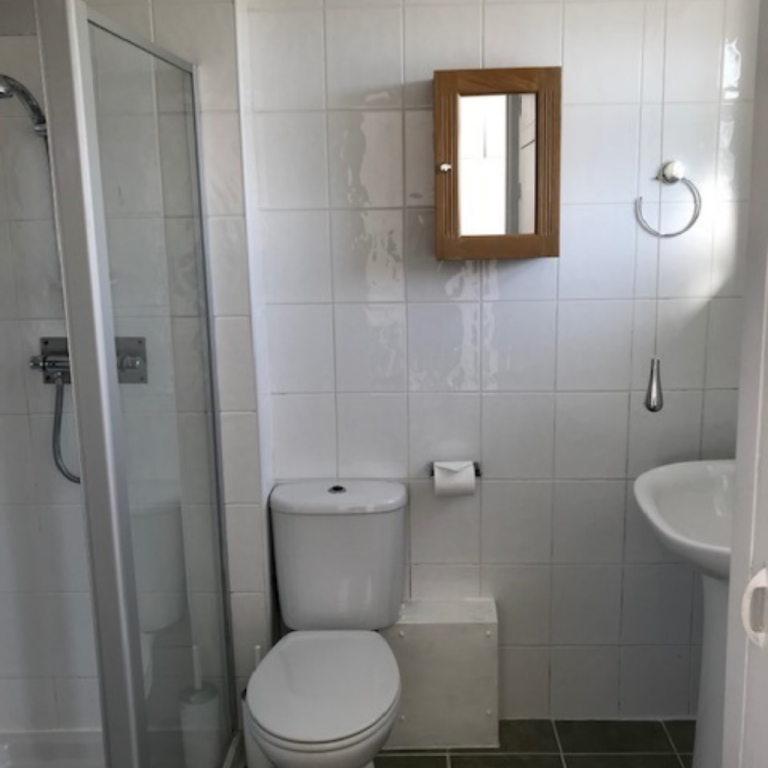 This ensuite room offers a large shower and separate dressing area as well as plenty of light and amazing sea-views from its large bay window. 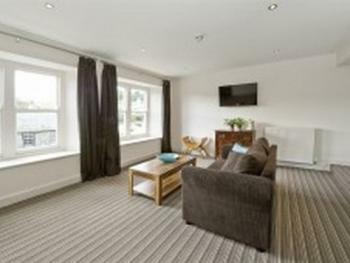 Features include 48” HD flat screen TV, free wifi, tea & coffee making facilities, towels, iron/ironing-board and hairdryer are available on request. This is a non-smoking room. Included in your stay is breakfast, use of the cliff-top swimming pool (guests only) and the Bar/Library, Our restaurant is open all day in peak season, serving freshly made, seasonal dishes and Thai classics, using produce from local Dorset partners. 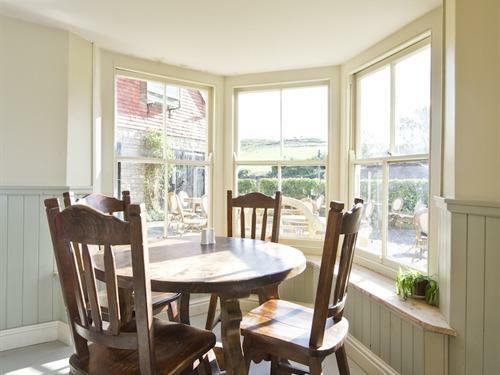 Let us know when you book if you would like to reserve a table during your stay (advised!). Please be aware that we do not accept bookings for children aged under 7 years. 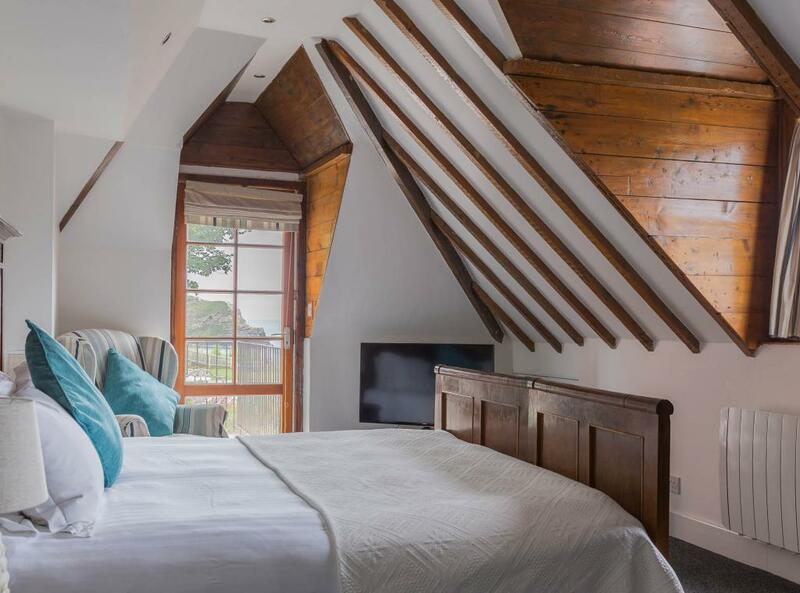 Located on the top floor, The Attic is a small double room with a very small ensuite shower and a vanity sink in the bedroom. Facing the he hills, these ‘cosy’ rooms are very reasonably priced and get quickly booked up by walkers looking for somewhere nice to stay with a small budget. 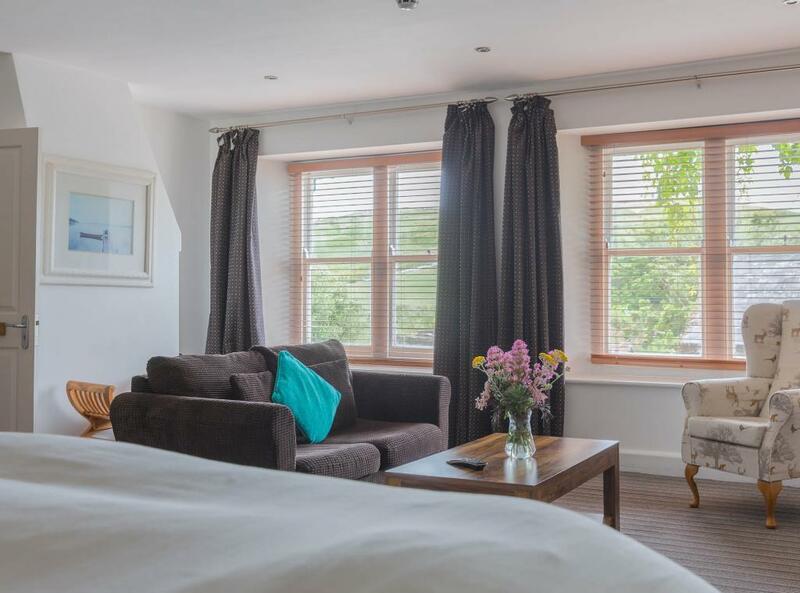 We like guests to be aware that these rooms, although clean, well presented and offering ensuite, tv and free wifi, are not to the standard or size of the suites. Hence reflected in the price. 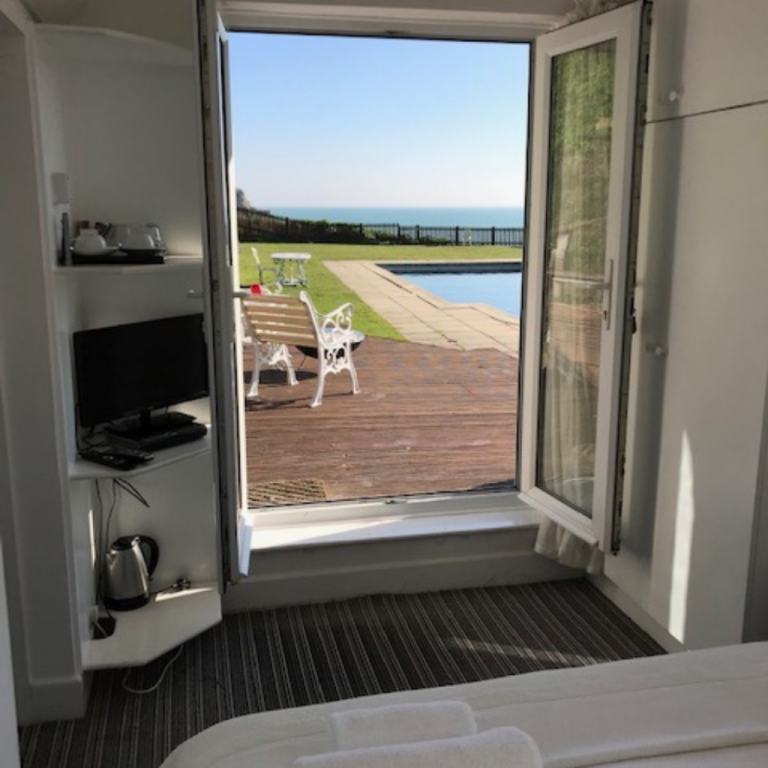 Included in your stay is breakfast, use of the cliff-top swimming pool (guests only) and the Bar/Library, Our restaurant is open all day in peak season, serving freshly made, seasonal dishes and Thai classics, using produce from local Dorset partners. 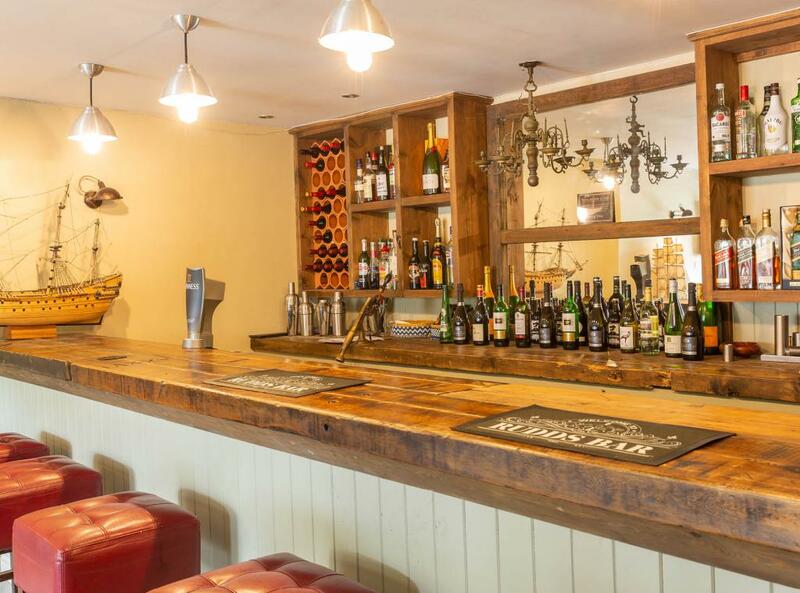 Let us know when you book if you would like to reserve a table during your stay (advised!). Please be aware that we do not accept bookings for children aged under 7. 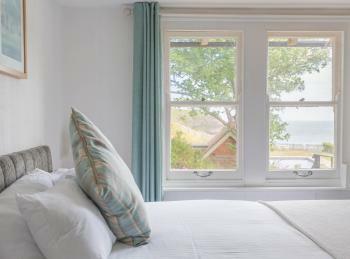 The Boat House is one of our most popular suites and includes a double bedroom, small ensuite bathroom and separate sitting room with a small sofa bed. The view from the bedroom is, without a doubt, one of the best of Lulworth Cove! 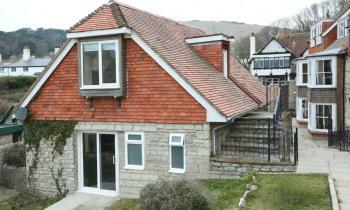 The Boat House is in a separate annexe to the main building, above The Cliff suite. 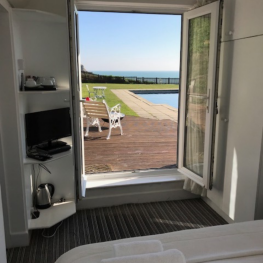 Included in your stay is breakfast, use of the cliff-top swimming pool (guests only) and the Bar/Library, Our restaurant is open all day in peak season, serving freshly made, seasonal dishes and Thai classics, using produce from local Dorset partners. 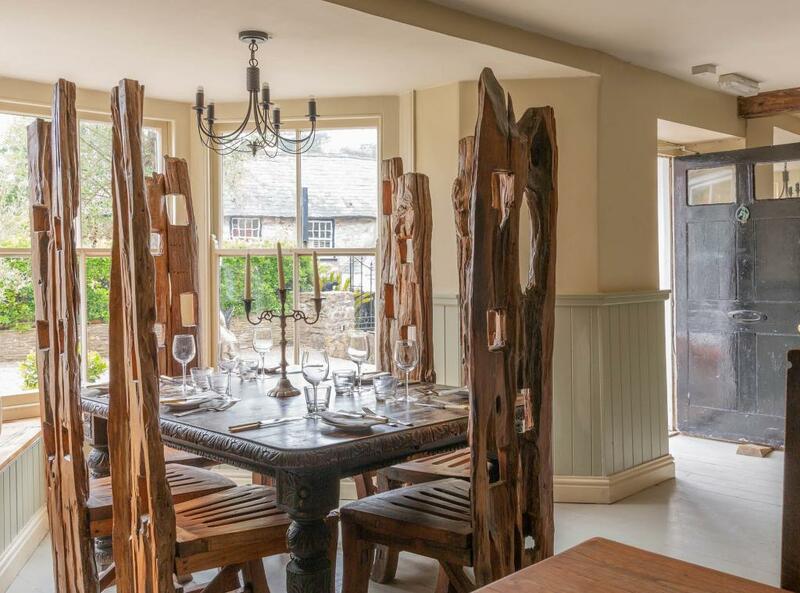 Let us know when you book if you would like to reserve a table during your stay (advised!). Please be aware that we do not take bookings for children aged under 7. 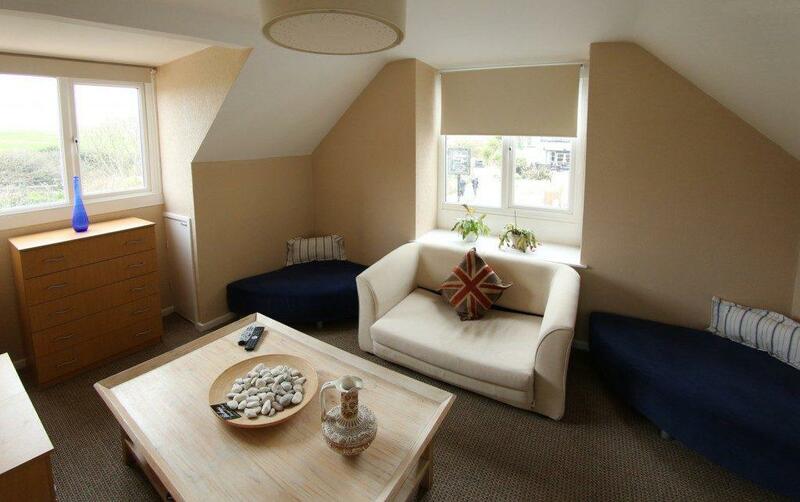 Double bedroom en suite. 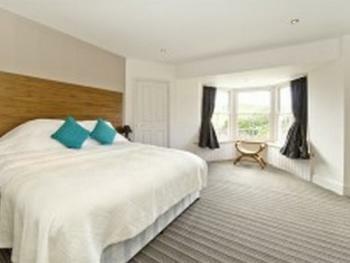 This is one of our budget rooms and it should not be assumed that it is in the same style as the main suites. It is however newly furnished and well presented. The Cliff Room is one of our best rooms. 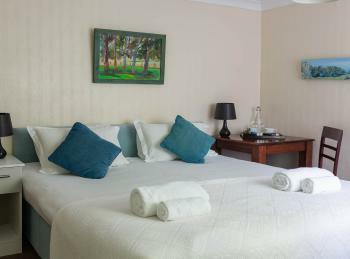 It is a spacious and airy luxury suite with superking bed. 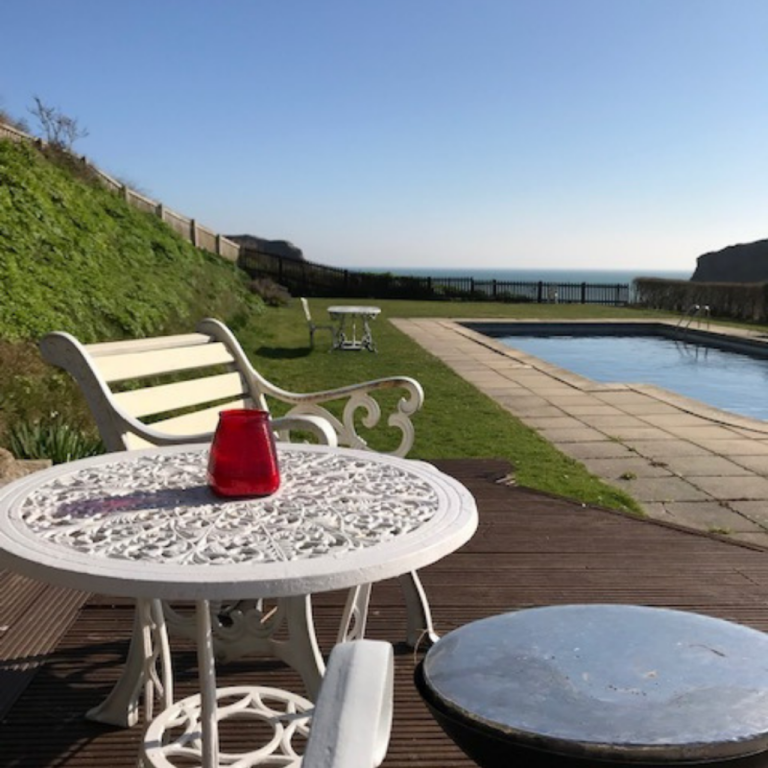 Offering one of the best views of Lulworth Cove that you can get, this is our honeymoon suite and includes its own terrace and sitting area. 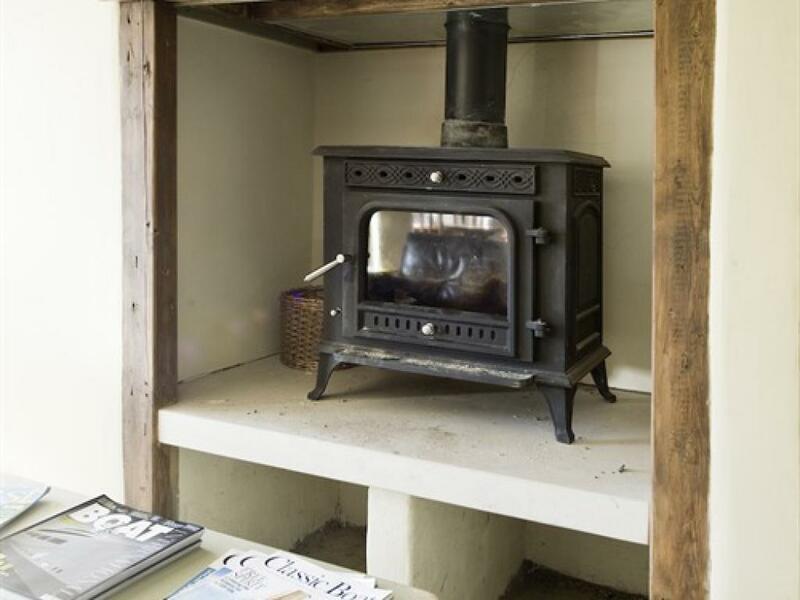 Perfect for soaking up the sunshine in the summer months, or cosying up in the winter. 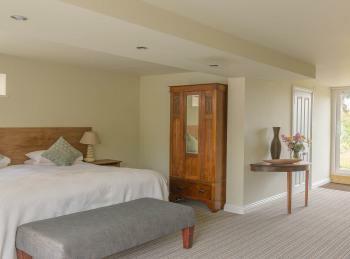 The room offers its own entrance, HD TV and ensuite bathroom, Included in your stay is breakfast, use of the cliff-top swimming pool (guests only) and the Bar/Library, Our restaurant is open all day in peak season, serving freshly made, seasonal dishes and Thai classics, using produce from local Dorset partners. 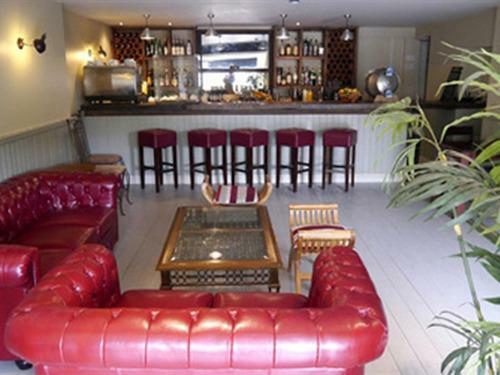 Let us know when you book if you would like to reserve a table during your stay (advised!). Please be aware that we do not accept bookings for children aged under 7. The Pool Room is a small, self-contained building overlooking the swimming pool and down to the Cove. 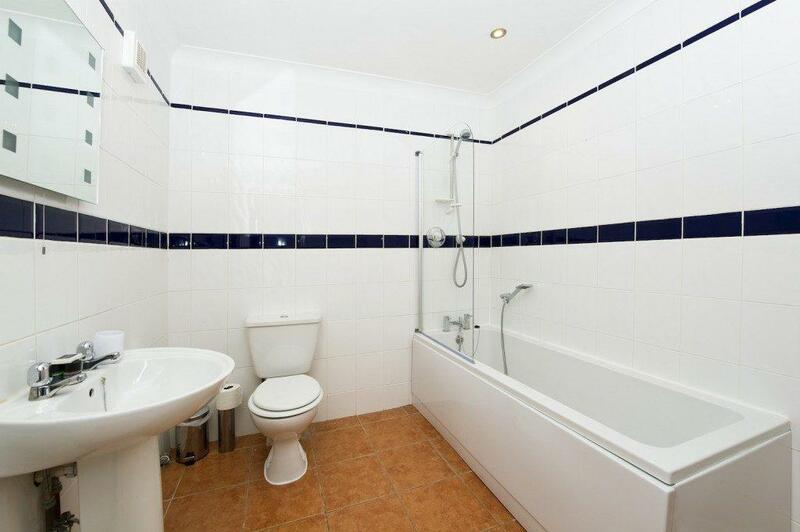 It has an small en suite shower with free sat TV and decking. Accommodation Warning.... 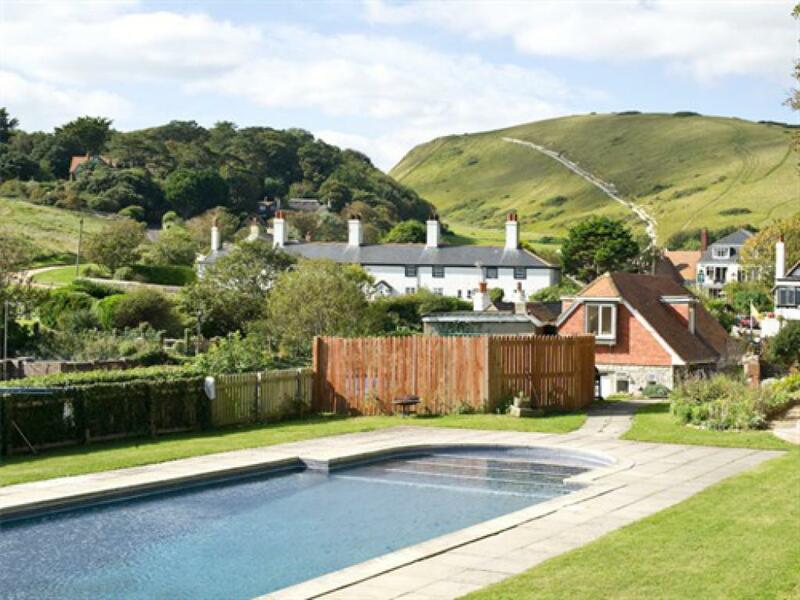 The Pool Room is as close as you can sleep to Lulworth Cove, but it is a marmite room – you’ll either love it or hate it! Our advice to prospective guests is this: 1) If you’re over 35 then this may not be for you 2) If you’ve not been glamping at a music festival then this may not be for you 3) If you wish to spend time in your room viewing the internet or TV then this may not be for you 4) If you don’t enjoy bright sunrises or sunsets then this may not be for you. But if you want to sleep with big skies and the sound of waves... Included in your stay is breakfast, use of the cliff-top swimming pool (guests only) and the Bar/Library, Our restaurant is open all day in peak season, serving freshly made, seasonal dishes and Thai classics, using produce from local Dorset partners. Let us know when you book if you would like to reserve a table during your stay (advised!). Please be aware that we do not accept bookings for children under 7 years old. 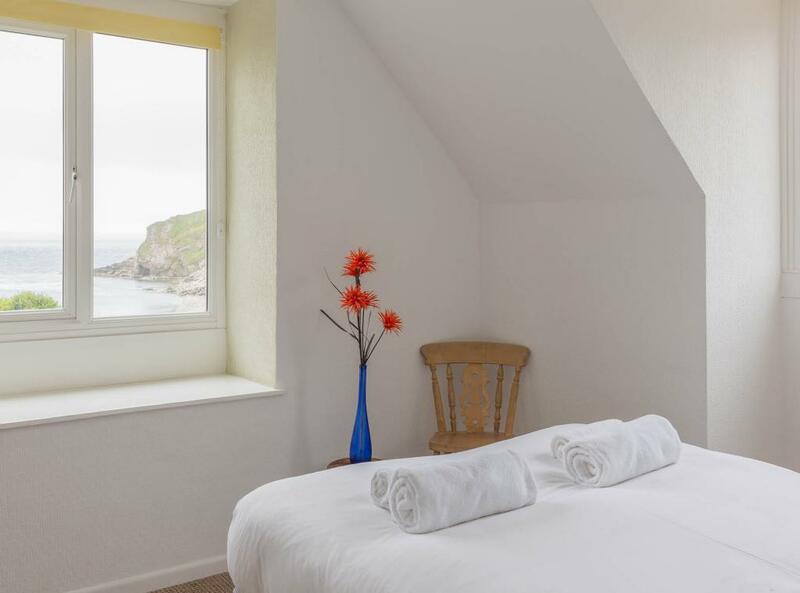 The Coast is a superb double room suite overlooking Lulworth Cove. 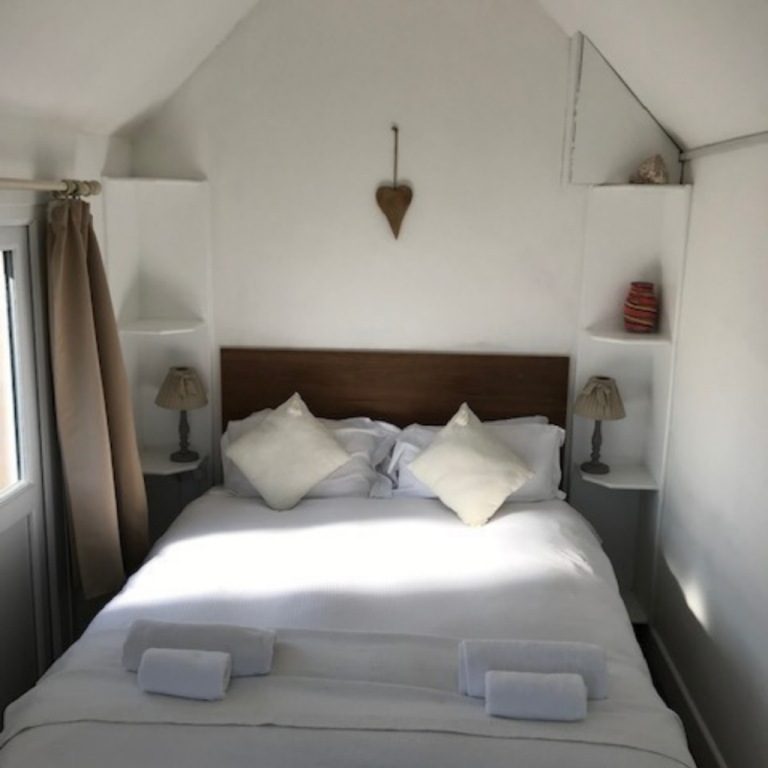 Offering a superking bed and views of the Lulworth countryside, it has its own shower room across the hall as well as a private patio for relaxing on. Guests can also book the adjoining ‘Dressing Room’ (additional £30 for each adult, £20 for each child) which comes with a double bed, making this room ideal for a family. Included in your stay is breakfast, use of the cliff-top swimming pool (guests only) and the Bar/Library, Our restaurant is open all day in peak season, serving freshly made, seasonal dishes and Thai classics, using produce from local Dorset partners. 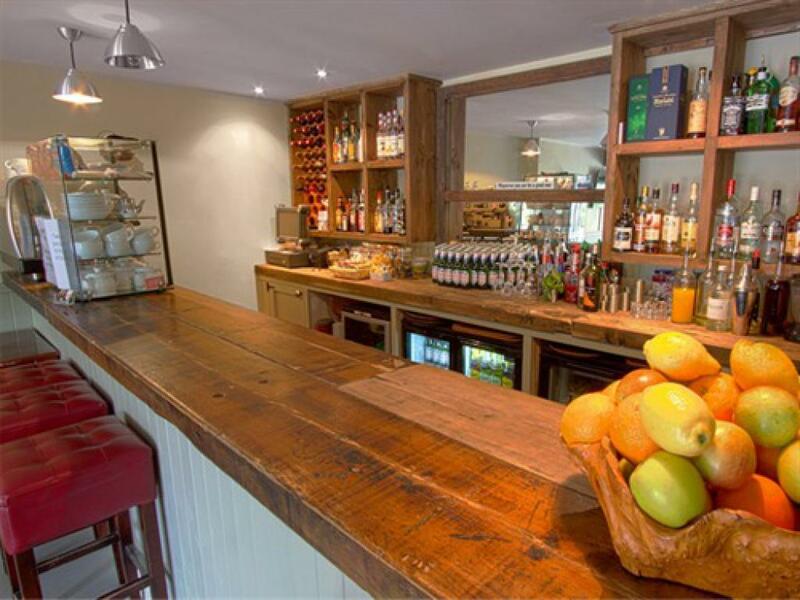 Let us know when you book if you would like to reserve a table during your stay (advised!). Please be aware that we do not accept bookings for children under 7 years old. 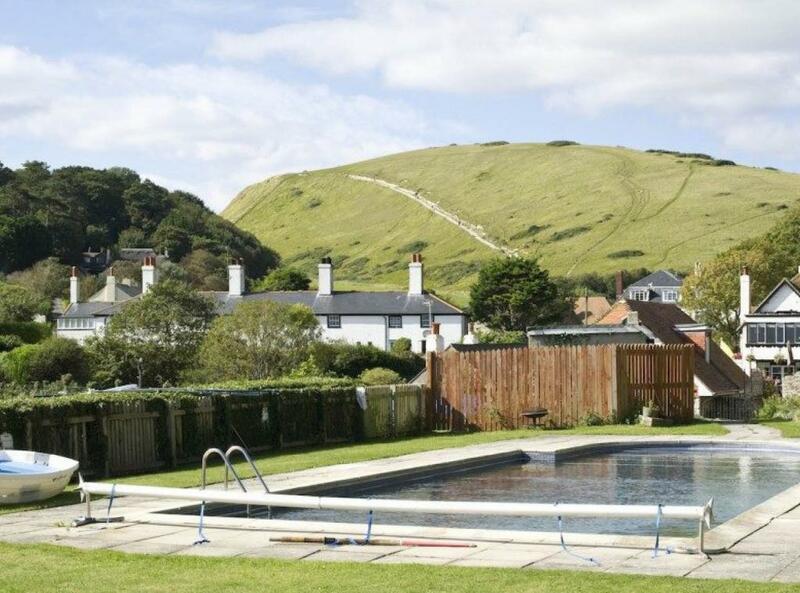 Hambury is a double room with views over Lulworth Cove, the gardens and the swimming pool. 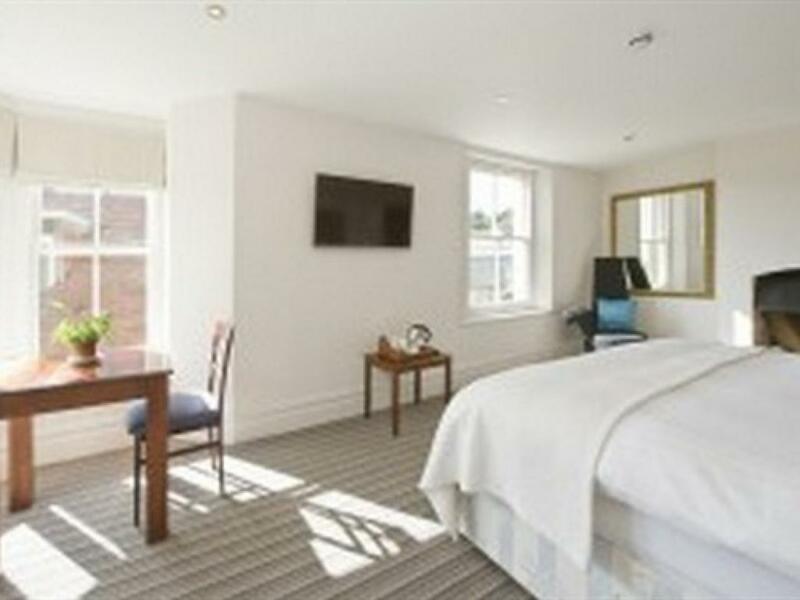 This light and spacious room offers a kingsize bed and small en-suite shower room as well as small adjoining room with a child’s sofa bed. 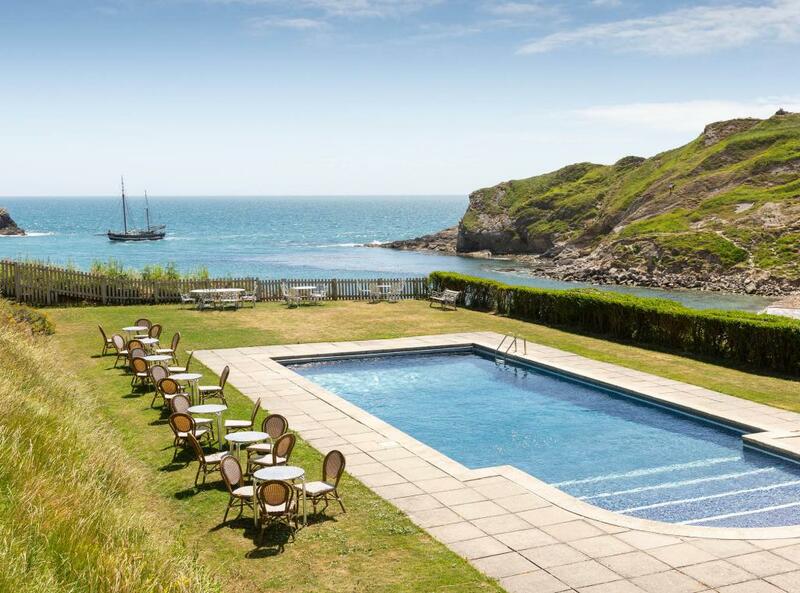 Included in your stay is breakfast, use of the cliff-top swimming pool (guests only) and the Bar/Library, Our restaurant is open all day in peak season, serving freshly made, seasonal dishes and Thai classics, using produce from local Dorset partners. 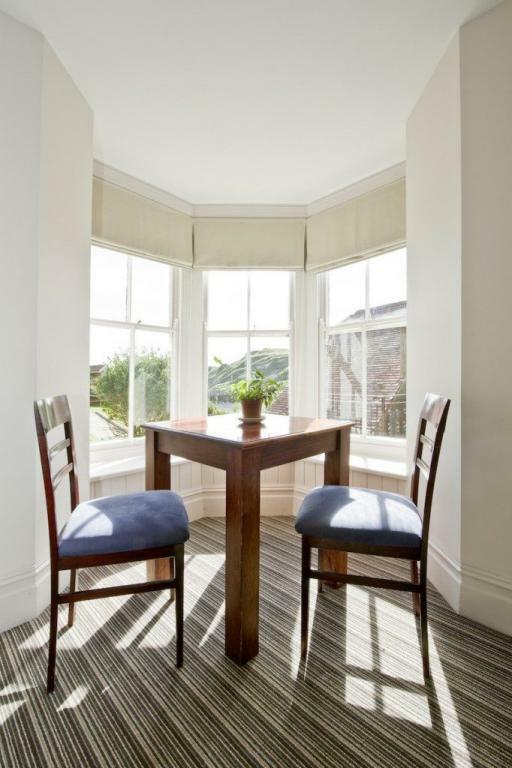 Let us know when you book if you would like to reserve a table during your stay (advised!). Please be aware that we do not accept bookings for children aged under 7 years. Bishops, which overlooks the World Heritage Jurassic Coast, was once the home of the Wordsworths (Bishops of Salisbury) and stands on the edge of Lulworth Cove, sheltered by Bindon Hill. Originally two cottages dating back to the 1650’s, the building is one of the oldest in the village and, the extensions and additions having been made with care, remains one of the finest architectural features of Lulworth. 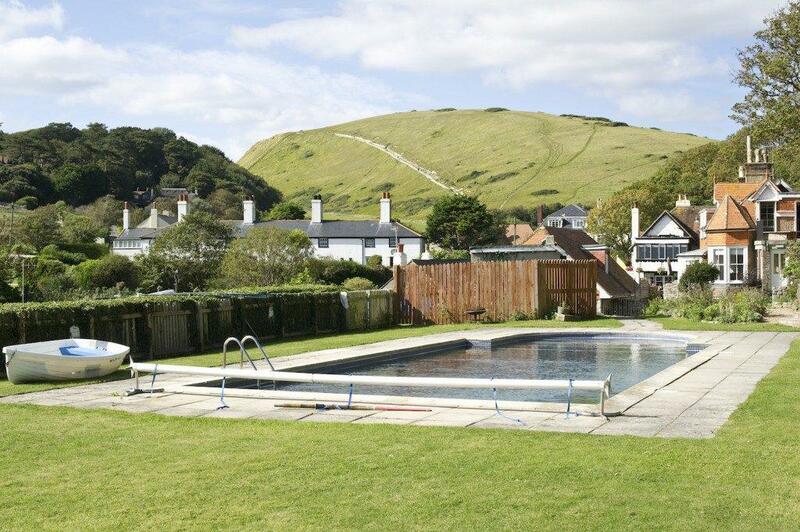 The gardens overlook the beautiful Lulworth Cove and there is a large swimming pool for our guests. We also have a running machine located by the pool for guests’ use. 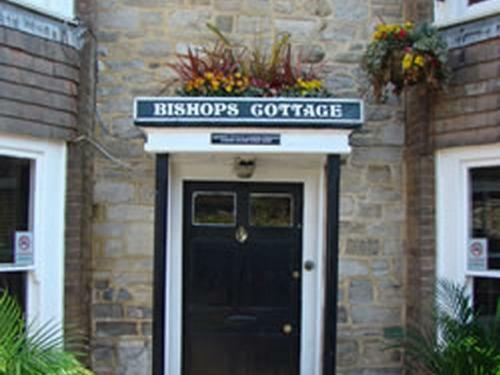 Bishops boutique hotel is on the cliff top of the world heritage Jurassic coastline, a stone’s throw from Lulworth Cove and the iconic Durdle Door. A beautiful stretch of coastline to the east joins Lulworth Cove with the stunning Studland Bay and shores of Sandbanks and Poole Harbour. 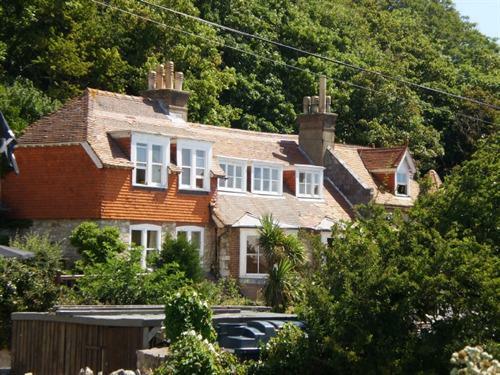 The countryside surrounding our coastal accommodation provides some excellent excursions in and around modern day Dorset and Thomas Hardy’s Wessex. 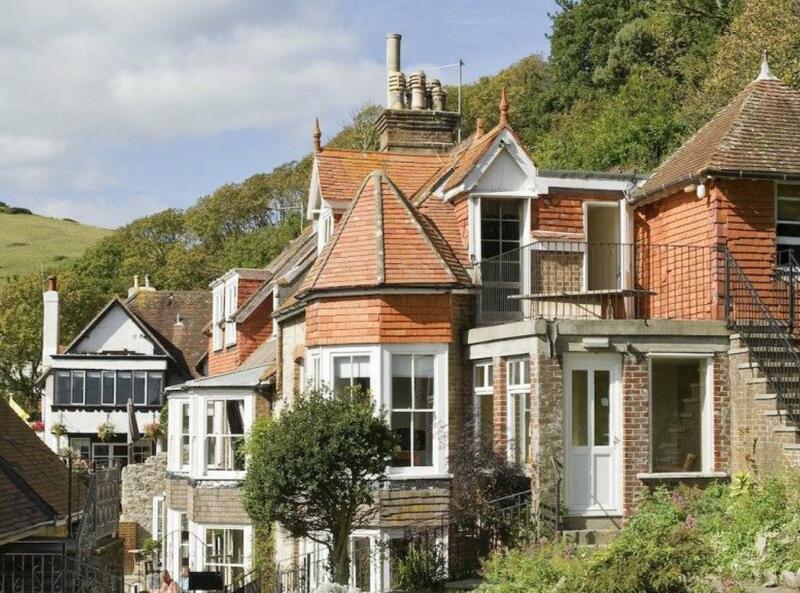 Popular places steeped in history include the Isle of Purbeck, Corfe Castle, Swanage and the Saxon town of Wareham. Beautiful Lulworth Cove and the surrounding area. The pubs, restaurants, cafes and beaches of Lulworth Cove and the picturesque village of West Lulworth are within easy walking distance of Bishops. 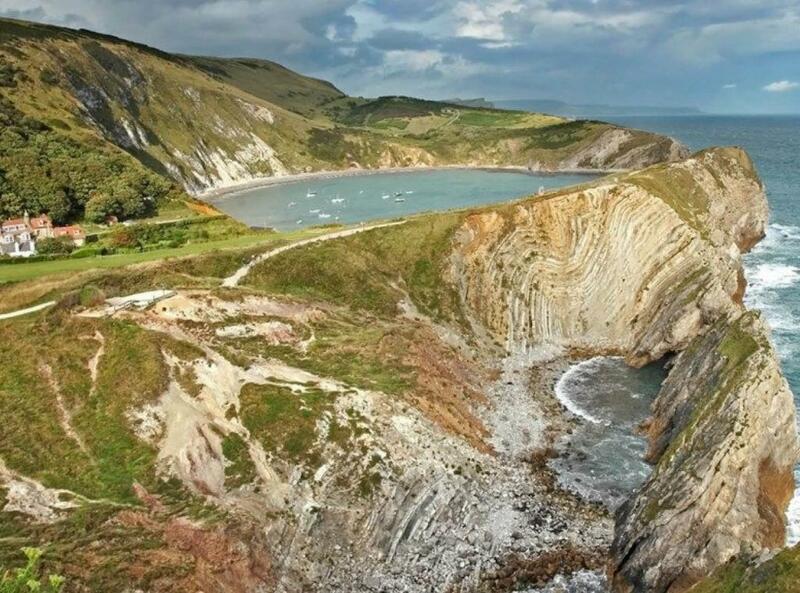 Lulworth cove is arguably one of the most beautiful parts of the Devon & Dorset World Heritage Jurassic Coastline and makes up part of the much-celebrated South West Coast Path. 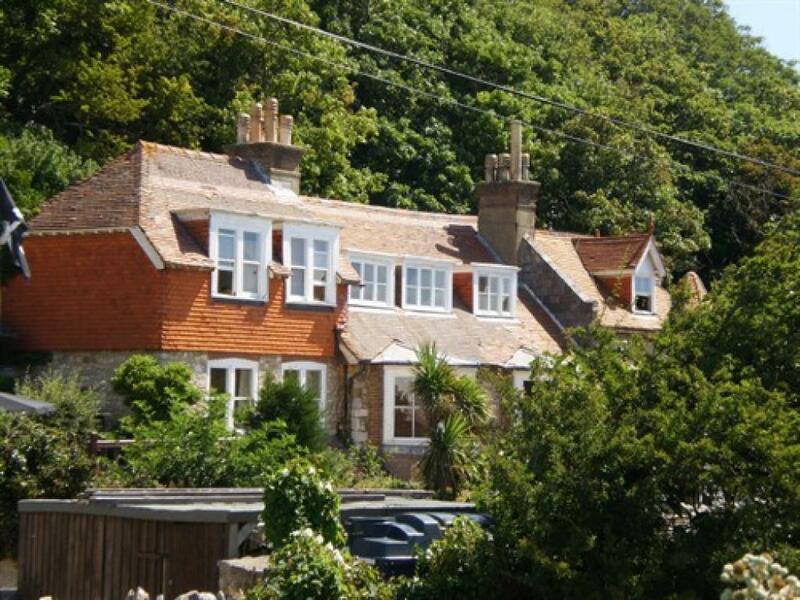 The area also sits within the officially designated Dorset Area of Outstanding Natural Beauty. Great walking country… with 30 miles of practically unspoiled coastline and countryside this area of Dorset boasts unparalleled walks, coastal views and beaches. The Cliff room is ideally suited for wheel chair access being on the ground floor and just off the Courtyard.